This is the week — the last one before the corporate Catholic Christmas holiday commences and runs into the Russian New Year holiday — when President Vladimir Putin hosts a supper reception for the oligarchs. It’s a very sensitive affair – for the oligarchs invited, disinvited, or excluded; and for the president to be seen publicly with them. So sensitive in fact that a year ago, as the president was running for re-election, his Kremlin spokesman appeared to think (and say) on December 14 there was to be no oligarchs’ dinner. Then it turned out, on December 21, there was. The oligarchs are acutely sensitive too. In pre-war times, the invitation to be seated at Putin’s table was a cachet of closeness to power which the oligarchs were keen to display. Now that they face US Treasury sanctions for their “closeness” to the president, many would rather not attend. None can refuse, however, if Putin invites. Putin likes to put the oligarchs after he has held his 4-hour session with the national press. Since this year’s press conference is scheduled for December 20, the oligarchs’ dinner can’t come before. Asked if it will come after, and when, a Kremlin spokesman conceded today that he’s not authorized to say; he may not yet know. “Watch for the official announcement”, he responded. An oligarch who always attends acknowledged the date hasn’t been fixed yet. The Russian Union of Industrialists and Entrepreneurs (RUIE; the Russian acronym is RSPP) which lobbies for the occasion and provides the Kremlin with its recommended guest-list, told Izvestia on Monday a “conversation” with Putin is planned but gave no details. Putin’s spokesman Dmitry Peskov was less sure. The meeting “with representatives of big business is at the stage of preparation”, according to Peskov, allowing that no date has been fixed. Mikhail Fridman has stayed away from the dinner, religiously. The control shareholder of Alfa Bank, Vimpelcom and the X-5 supermarket company has not attended Putin’s reception from the start. But in 2014 he sent three of his men, Pyotr Aven, Andrei Kosogov, and German Khan in his stead. Kosogov and Khan had disappeared in 2015. Aven is the sole survivor of the Fridman group still at the dinner table. The American reason for Fridman to absent himself is explained here. Mikhail Fridman (right) met President Dmitry Medvedev on October 13, 2009. It was Fridman’s last public presidential appearance. Putin’s approval rating was last measured by Levada Center, the independent Moscow pollster, at the end of November. The line of rising voter approval, which began with the US war in 2014, is now falling towards the level of domestic discontent of the pre-war years, 2010-2013. 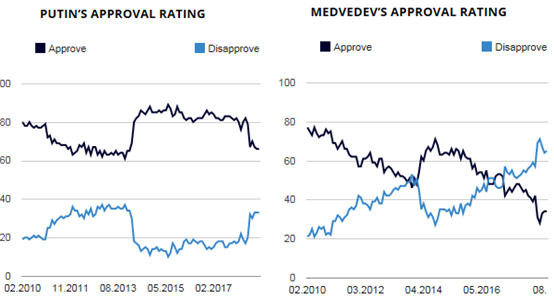 Putin’s relative stability in the polls is belied by the sharpness in the negative public assessment of Prime Minister Medvedev. A Moscow business analyst observes that for the first time in many years Putin and the oligarchs have a common interest, if not the same political reason, in not being seen together. NOTE: In the lead illustration, from left to right, President Vladimir Putin; oligarchs Oleg Deripaska and Arkady Rotenberg; Alexei Kudrin. Kudrin's record as a state official has made him unelectable. A Levada Center poll of October 10, 2018, revealed that Russians rate Kudrin in the top-10 most distrusted politicians in the country, with a score equal to his one-time patron, Anatoly Chubais, and to the Central Bank Governor, Elvira Nabiullina. At his national press conference on December 20, Putin came under questioning for what Kudrin has publicly criticised as slow growth. Putin attacked Kudrin, pointing out that "economic growth has been one percent per year for a certain period of time. 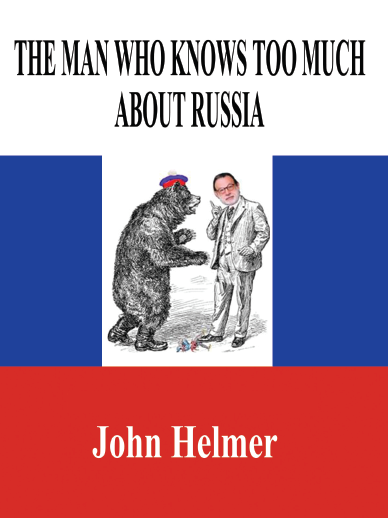 But, first of all, it was while Mr Kudrin was Deputy Prime Minister, so you must not blame the mirror for showing a crooked face, as they say." Putin then retracted the criticism. "I have great respect for Mr Kudrin, he is my friend and a good professional, and as a rule, I listen to his recommendations. He is a reliable specialist, a good one." Earlier in the day, it was reported in the Russian press that Prime Minister Dmitry Medvedev, who will lead the official Russian delegation to the Davos World Economic Forum, will not allow Kudrin to participate in the delegation. 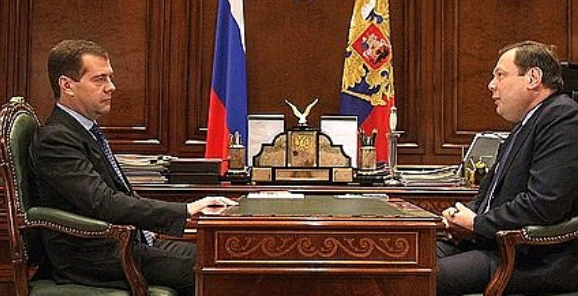 Medvedev had dismissed Kudrin for over-weaning ambition in 2011. In a televised meeting on September 26, 2011, Kudrin became the first minister of state to be fired in public; in private, Kudrin's bid to have Putin, then prime minister, overrule Medvedev also failed. This week Kudrin claimed had withdrawn from the Davos delegation because he's too busy at the Accounting Chamber.